Día de los Muertos, or Day of the Dead, is a colorful Mexican holiday honoring ancestry. The holiday isn't just one day, however. Day of the Dead is celebrated from October 31st to November 2nd. It's a time to honor those who have passed away. The holiday was even featured in the movie Coco. There isn't simply one way of observing Day of the Dead, but some symbols and traditions are prevalent. Celebrating the Day of the Dead is a fun opportunity to celebrate with seniors. The holiday has a deep meaning, but is also bright and lighthearted. Here are some ways you can celebrate together. Sugar skulls are used to decorate the gravestones of the deceased. The authentic sugar skulls were made out of molded sugar then decorated with a variety of trinkets and decorations. The name of the deceased relative was written on the skull and then placed on the alter accompanied with marigolds, candles, and even their favorite food or drink for their journey in the afterlife. The whimsical sugar skulls not scary at all. Instead of mourning the dead, they celebrate the dead. You can paint and decorate your own sugar skulls. Craft stores carry ceramic white skulls ready for decorating. Paint and embellish with sequins, glitter, feathers, beads, flowers, etc. 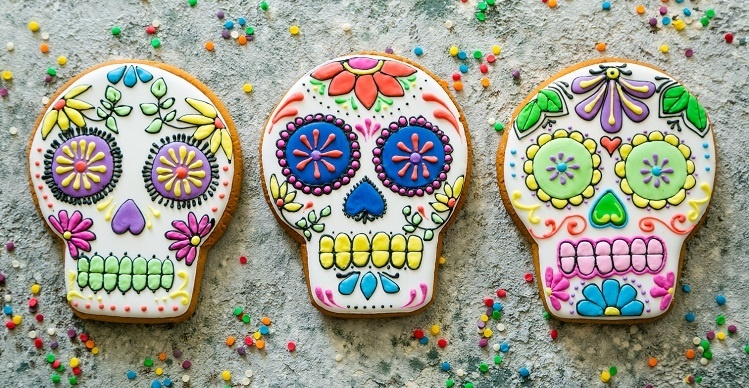 If you prefer, you can make sugar skull cookies using your favorite sugar cookie recipe and a cookie cutter. Decorate them with bright royal icing colors. The Day of the Dead is meant to be a celebration of life. Invite close family members over and host a dinner. 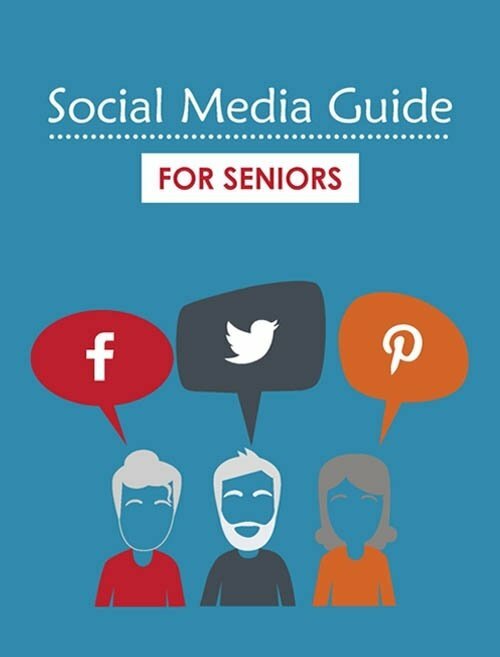 You and your senior can make her lost loved ones' favorite dishes to honor them. Play music, decorate, enjoy dessert. It's a time to bond and reminisce with family. If you want to keep the celebration authentic, be sure to make Pan de Muerto, bread that is prepared and eaten during the season. Tamales, candied pumpkin, and hot chocolate are also part of the traditional Day of the Dead feast. Cut a sheet of tissue paper in half so that you have 2 sheets. Cut each of those pieces in half. Stack 4 sheets of paper together evenly. Pleat the tissue paper to create an accordion fold. Cut the corners, creating a half-circle on each end. Wrap a pipe cleaner firmly around the middle of the paper. It will hold your flower in place and act as the stem. Carefully fan out the tissue paper. Gently separate the first layer of tissue from the remaining of the layers. Move it upwards to form the top layer of flower petals. Gently separate the rest of the paper layers moving them slightly upward. For more fun and entertaining ways you can celebrate the Day of the Dead and other holidays with your senior and family, please feel free to contact us.